Dr. David Wallinga, Director of the Food and Health Program at the Institute for Agriculture and Trade Policy, talks about the findings of a recent IATP study on the presence of mercury in high fructose corn syrup and in common food and beverage products. Sugar Crush release date is approaching fast! 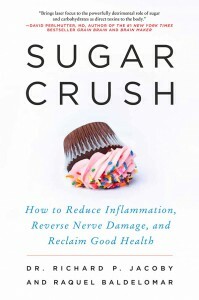 Pre-Order Sugar Crush the Book. Excellent article about bread. Five essential lies about bread debunked. And check this chart comparing the glycemic index of candy, sugar and soft drinks to breads. Compare foods, find out where sugar is hiding, and see how much of the sweet stuff you’re really eating. 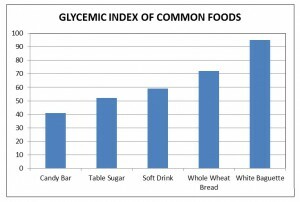 They’ve got sugar count for a lot of the most common drinks, desserts and foods you wouldn’t think of as sugar loaded!